A pre-Hollywood Grace Kelly, photographed on 42nd Street near the Woodstock in the late 1940s. She's posed opposite 332 E. 42nd Street, the Tudor City Rental office at the time. 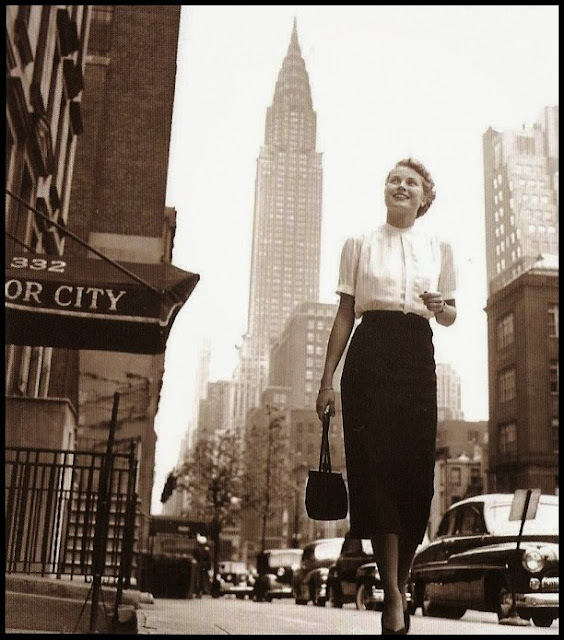 Perhaps she's looking for an apartment -- even though she doesn't look like the type who walks to work -- but more likely this photo was made during her short stint as a professional model, before movie stardom. Another view of the rental office (bottom right, with canopy), set on the south side of 42nd Street (Windsor Tower upper left). 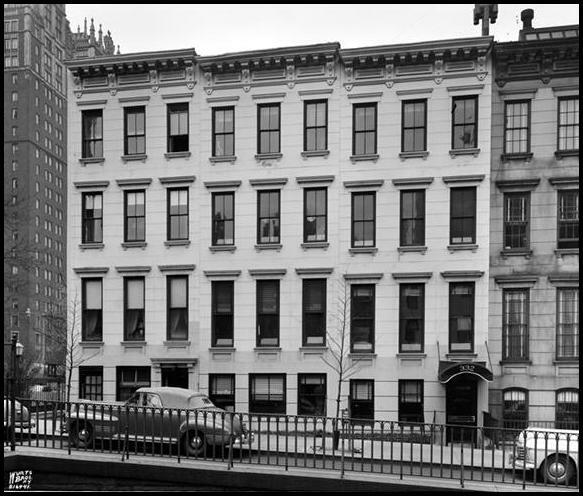 In the early 1950s, 42nd Street was widened and these rowhouses demolished. Today, stone staircases have taken their place.